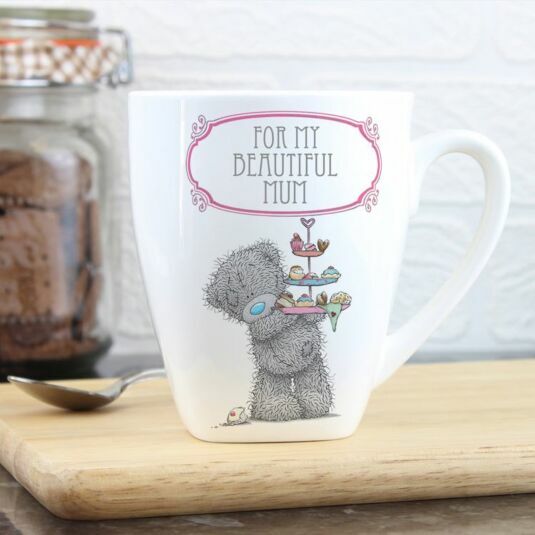 Enjoy a relaxing cup of coffee and a cupcake with this delightful Latte mug featuring the ‘Me to You’ designs. Tatty Teddy is ready to share his homemade cupcakes which he proudly holds aloft on a tiered cake stand. The mug is further enhanced with bright colours and elegant text. 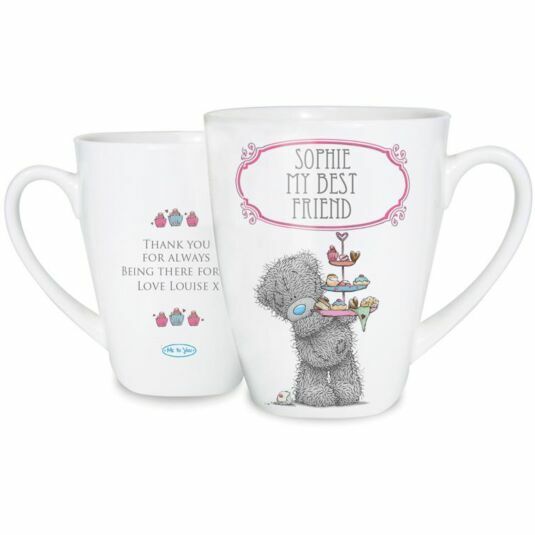 A pink border surrounds the area of personalisation on the front and cupcake images adorn the text on the back. This would make the perfect gift for a birthday, anniversary or Mother’s day. Add a message, across 3 lines, with a maximum of 10 characters per line, to appear within an elegant pink border and above Tatty Teddy himself. 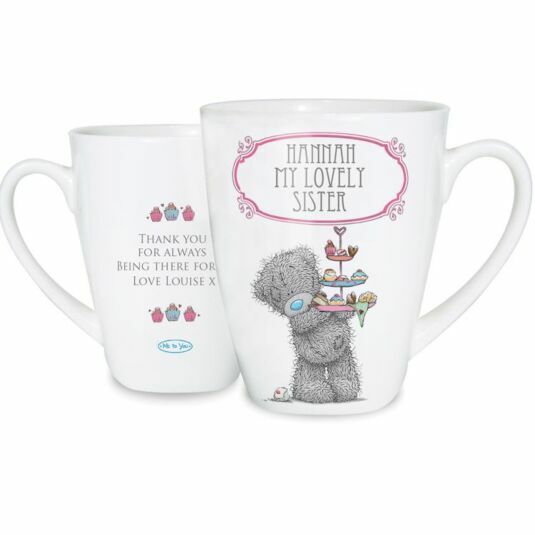 Add a further message across 4 lines, with a maximum of 20 characters per line, to appear on the back of the mug. All personalised elements will appear in UPPER CASE.